There’s the annual RAEM contest. Apparently I earned the UPOL award simply by participation in this event? There’s the RAEM stories online. 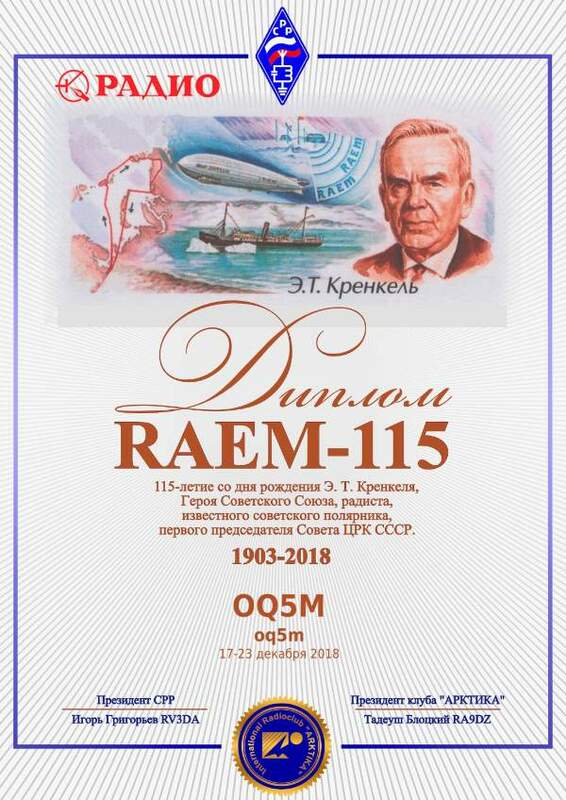 Recently there was the 115 years of RAEM award which I chased. It wasn’t a hard chase of course. Russia is my backyard and there was plenty activity. Especially in the RAEM contest. 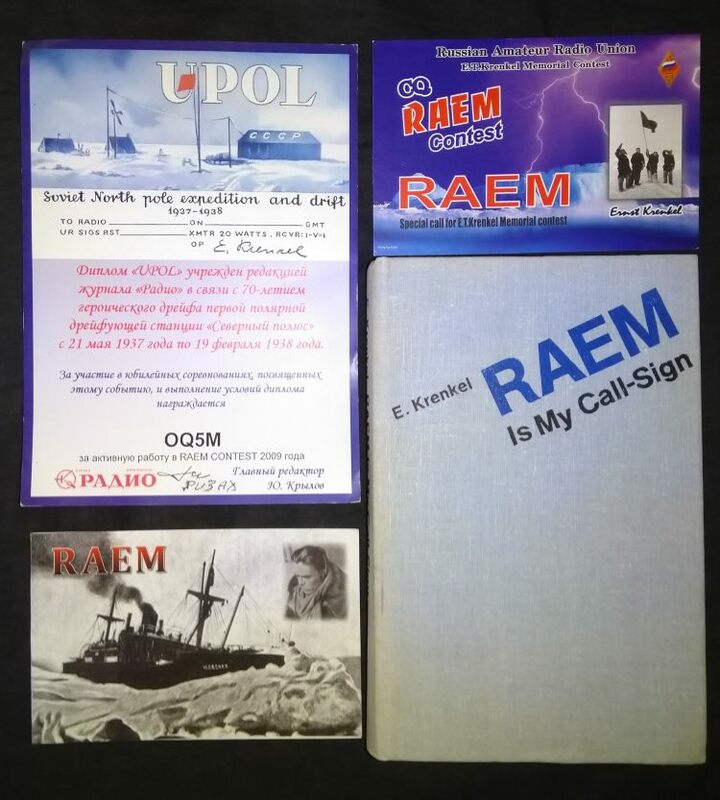 And now there’s the RAEM book too. Well, the book has been around for a while but it now shines in my personal library. I’m not really into history. At least not more than a healthy dose needed for general knowledge and common sense. But I find the adventures of a polar explorer intriguing. Even without the ham radio aspect. I prefer cold ice over hot beaches. Penguins over camels. Ice bears over scorpions. During the winter holidays I read that E.T. Krenkel had written down his memoires: RAEM is my call-sign. And that there was an English translation. It wasn’t really easy but while searching I stumbled upon an online book selling platform where a German lady had a copy for sale that she described as ‘in good shape’. I took the plunge and a few days later the book was in my hands. And indeed in pristine shape. The book also offers insights on the interbellum in Russia and probably all over Europe (poverty, famine and misery) and the evolution of radio.